As expected UK interest rates were held steady at 0.5% by the Bank of England at its recent rate setting meeting. With inflation still well below the bank’s official target few economists see any impetus for rates to rise before next year. Whether there were any changes in voting intentions and other remarks will be released in the monetary policy committee’s full minutes which will be published in two-weeks. Cable moved within a sideways range for much of the day as traders focused on global events, most notably in China. Optimism improved after the Chinese Shanghai Composite rebounded 5.7%. This came though after a thirty percent plunge since the middle of June. 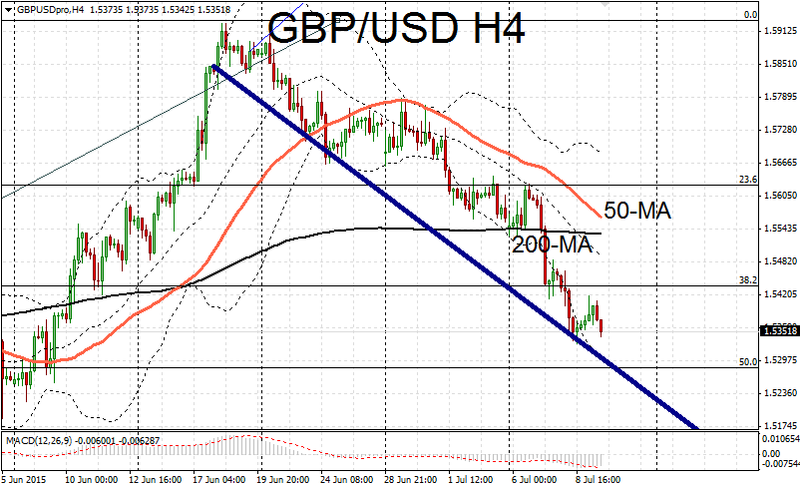 GBP/USD traded towards the bottom of the support channel at 1.5357 where resistance to further falls was fairly sturdy. The bottom of the range now lies on the 200-day moving average line. 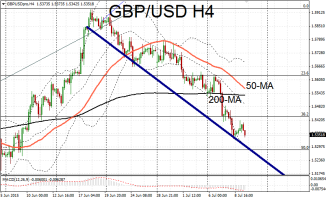 This also coincides with the fifty percent retracement of the rally that took it up towards the 1.60 line. Yen eased back today after gaining strong backing from safe haven flows. This allowed GBP/JPY to make some upwards movement. Like cable, GBP/JPY was severely overbought and the selloff has pushed it sharply back towards critical support at the 200-day moving average. Given the momentum behind the downwards push some overshoot of the support levels seems likely.